On 28 November the Non-Kin-State Working Group of the Flensburg-based Federal Union of European Nationalities (FUEN) visited ERIAC in the context of their yearly assembly. The group was composed of West Frisians (NL), Romansh People (CH) and Ladins (IT). The Roma community was represented by a delegation from Bosnia & Herzegovina, while delegates of Lezghin and Meskhetian Turks came from Russia, Pomaks from Bulgaria, and Ruthenians and Crimean Tatars from Ukraine. Representatives of the Swedish minority of the Scanians, the Aromanians from Romania. and the Germans of Hungary (“Ungarndeutsche”) were present as well. Germany-based minorities were represented by the North Frisians and Sorbians. 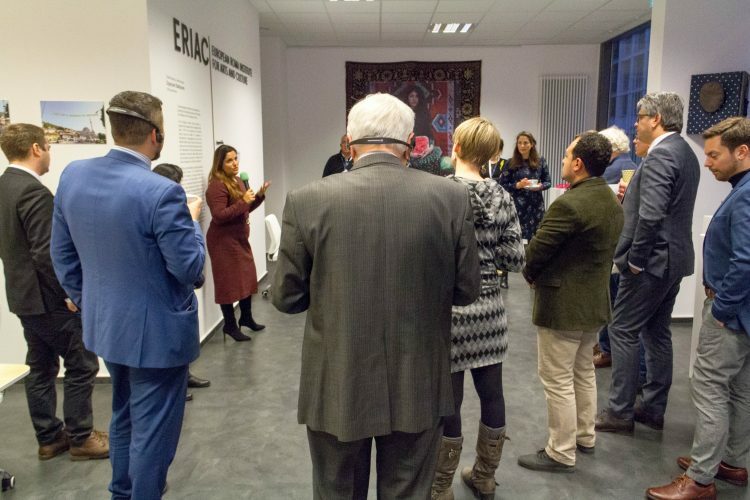 Following a viewing of ERIAC´s current exhibition, the participants of the working group joined executive director Timea Junghaus for a Q&A. 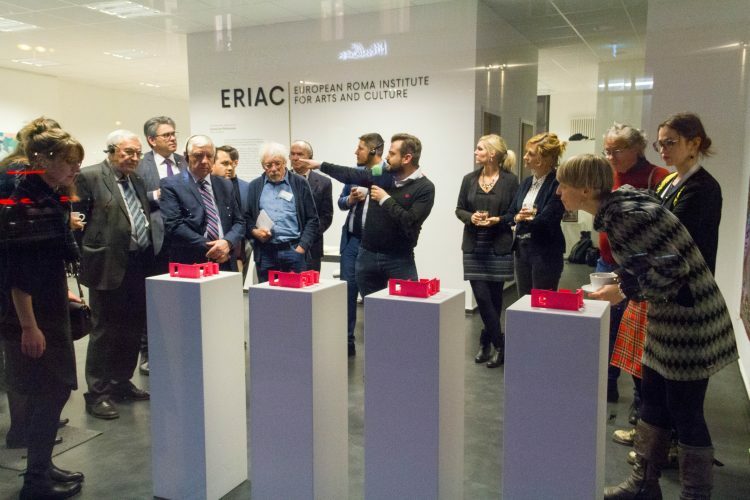 Then, a presentation of ERIAC´s Cultural Institutions Network Initiative was given, and further possibilities of cooperation were explored and discussed. The FUEN-delegates also informed ERIAC about the success of their Minority SafePack Initiative (MSPI). 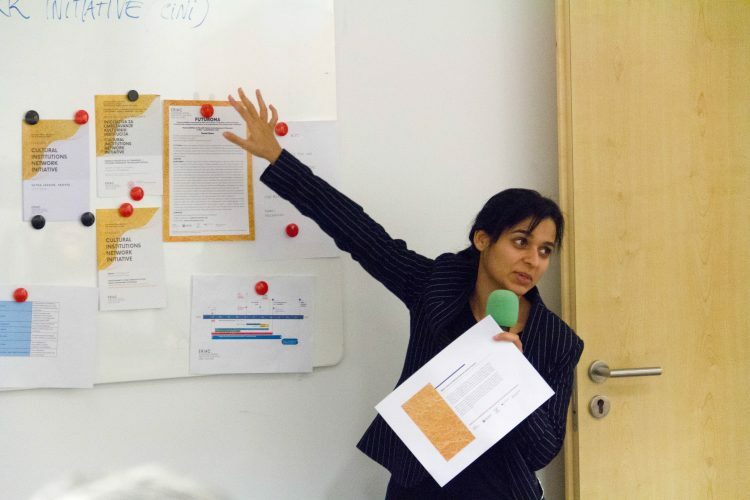 The MSPI acts upon the existing differences in norms and standards in the field of minority protection in Europe. While some countries do not recognize or even disregard the aims of minority groups, others actively promote and protect them. The firm belief of the proponents of the initiative is that policies towards European minorities require a degree of standardization and cannot be considered solely within the context of the different nation states. The FUEN was established in 1949. It has 90 member organisations, representing the variety of ethnic, linguistic, and national minorities within Europe. The aim of FUEN is to give expression to European cultures and languages that do not possess form as a nation state. 100 million people in Europe (approximately 50 million of which reside in the EU) are members of such minorities.